The Connemara Gaels and Aidan McAnespies played a humdinger of a senior football championship game with McAnespies seeking a shot at second place and an automatic semi-final place. Early on the Macs were cruising having blasted off to a great start, only for the Gaels to come back into it. Eoin Connolly stood tall for the Gaels and pulled off four great saves to keep his team in the game, and just when it looked like the spoils might go to the Connemara men, a last minute Conor Daly goal tied it up for McAnespies to salvage a draw. Sean Conneely field a kickout. McAnespies got off to a flying start with a two goals and one point flurry to stun the Gaels. Twice the McAnespies forwards sliced through the Gaels defence to raise the green flag. The first goal saw McAnespies combine well and at speed to leave the easiest of finishes for Dessie Ward who come steaming down the middle to blast the ball home, and the second came from Kevin McKernan after Alan Forde passed the ball across the face of goal to the open Antrim man to palm with ease into the net - McAnespies were rolling. The Gaels pulled themselves back into the game, the westerners could not afford a repeat of last week’s performance. The water break half way through the period seemed to have helped settle them down. Unfortunately, however, in spite of creating multiple chances, the westerners left their shooting boots behind and missed plethora of scoring opportunities. Eventually a goal from David Larkin came and the Gaels added a couple of points before half time from Cian Sheehan and Fintan Cooney to make it a two point difference at the break, 2-1 to 1-2 in favour of the Macs. Kevin McKernan sandwiched between Gaels defenders. The second half saw McAnespies extend their lead only for the Gaels to haul it back in and go ahead with some spectacular plays. After Kerr pointed, McAnespies earned a penalty when McKernan was hauled down in the box by Lee Cullen. McKernan put the ball in the right place and Macs led by six. The Gaels got the goal right back from the kickout. Ryan Hyde won the ball clean in midfield and two passes later the ball was in the net from Ronan Kennedy’s boot. Eoin Connolly was then sharp to Alan Forde’s shot to pull off a great save before David Larkin scored one of the best goals seen in Canton this year. After a measured pass from Caffrey to Ryan Rafferty in the corner, the ball was transferred to Larkin, who fired a shot to the far corner from just outside the 21. The Gaels were back on level terms. With plenty of time left it was up for grabs and the tension on and off the field was palpable as both teams vied for the killer blow. After swapping two points from each side, Barry Kerr put McAnespies up by one with a well taken free. The Gaels had another goal in them however After capitalizing on a wayward pass out of defence, the ball went straight to Caffrey who found the inrushing Ronan Kennedy, and in spite of a good effort from Ryan McCrystal who almost saved, the ball wound up in the net. The Gaels extended their lead to four points with scores from Brendan Boylan who did well after entering the fray, and McKernan put a point over the bar to reduce the gap to a goal with time almost up. Conor Daly came to the rescue for McAnespies with a well placed shot to the bottom corner to tie the game in injury time. The result, which really did not do much to advance the cause of either team, left the door open for Galway to take second place outright with a win over Christopher’s in the final game of the day. 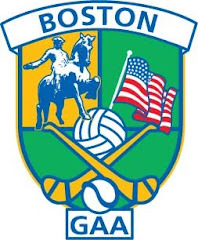 Gaels: E. Connolly, L. Cullen, J. Wyndham, J. O’Shea, D. Larkin, S. Conneeley, F. Cooney, R. Hyde, C. Sheehan, R. Caffrey, J. O’Brien, R. Rafferty, R. Kennedy. Macs: R. McCrystal, J. Allen, P. Daly, C. Daly, P. Holloway, R. Reynolds, S. Daly, D. Ward, B. Kerr, K. McKernan, S. Attride, A. Forde, G. O’Neill.